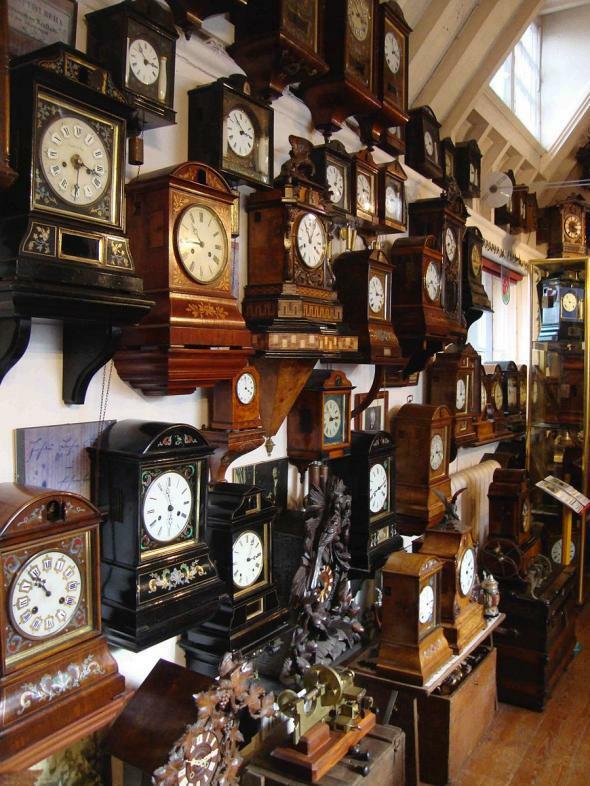 Tabley, England's Cuckooland Museum is a cuckoo clock wonderland. What time is it? Clock time! Every 30th of October, the clocks in the United Kingdom will be celebrating a milestone. In the midst of World War I, Parliament passed the Summertime Act of 1916, creating what’s come to be known as British Summer Time. So when the timepieces of the nation “fall back” one hour, Roman and Maz Piekarski will be very busy brothers. The Piekarskis are the owners, proprietors, and restorers in residence of Cuckooland, home to a collection of more than 700 cuckoo clocks. This year, on the 100th anniversary of British Summer Time coming to a close, the two horologists (a fancy name for clock masters) will once again be resetting the time on all the working clocks in their vast collection. The brothers have been studying clocks and watches since they were teenagers. They soon began collecting these fanciful and elaborate clocks, honing an expertise in their history and mechanics. Since 1970, their collection has grown to nearly 700 examples of some of the finest and rarest ever made, all from the one true home of the cuckoo clock—the Black Forest region of central Europe. It took about 20 years of clock-chasing, but eventually the breadth and depth of the Piekarskis’ collection left them no choice but to spread the gospel of the cuckoo to the public, opening their doors in 1990. Cuckooland is not just clocks, and one piece in particular might even drown out the cacophony of several hundred chiming at once: a German keyless concert organ. Also known as a fair organ, it’s what you’d hear accompanying carousels and fair rides, made specifically loud enough to hear over the crowds.